I’m not sure why the Economist Intelligence Unit ranked Harare one of the world’s five worst cities to live. Not only is this vibrant place pretty much void of chaos, very clean by African standards and filled with modern buildings and polite citizens, it is also incredibly safe as far as African capitals go. Best of all, it is home to some excellent boutique shopping and a vibrant restaurant and bar scene: both the Central Business District (CBD) and the low density suburbs that spread out from it like veins are home to eclectic boutiques, gourmet restaurants and high energy night clubs. 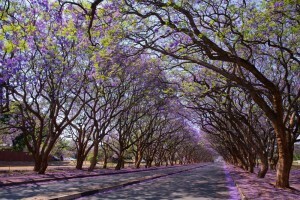 The city is particularly gorgeous in September when the Jacaranda trees lining the wide boulevards bloom, splashing the city with dashes of royal purple. When you’ve only got 48 hours in Harare, either en route to a safari , for a business meeting, or for one of the many international festivals the city is famous for, you’ll want to ignore the so-called experts at The Economist and get out and explore. 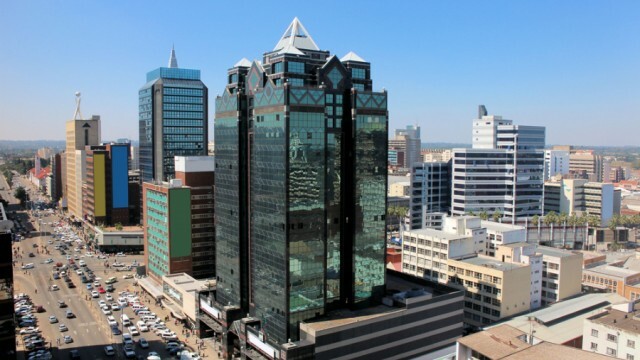 Before setting out, bear in mind that Harare is not an easy city to navigate without a car — everything is very spread out, so renting one is advisable. There are rental offices at the airport and in the downtown area. Start in the CBD with a visit to Harare Gardens (if you are staying at the Meikles Hotel, it’s just across the street). Resembling a beautiful English-style garden, Harare’s largest park is a cheerful place to stroll during the day. Home to an island-like stand of rainforest and plenty of green patches where locals lounge with laptops or lovers on warm and sunny afternoons, it is the place to get professionally photographed in Harare, and on a sunny afternoon you’ll see locals posing for photos, which industrious photographers shoot and print on the spot for around US$2. Located in the park’s southeast corner, the National Gallery of Zimbabwe is home to rotating monthly exhibits showcase everything from contemporary local to pan Africa art in various mediums – everything from stone sculptures to masks, photography to oil paintings. After you’ve finished browsing the gallery, head straight to the attached shop, where you can purchase high-quality Zimbabwean crafts and books on local art before grabbing a coffee (where many expats do) in the house café. When you’re finished, take a stroll down Second Street just to experience life in the heart of Harare — you’ll notice it feels a lot less chaotic than other CBDs, such as Nairobi or Jo’burg — and will find it even harder to understand why Western media has dubbed Harare the world’s least livable city. 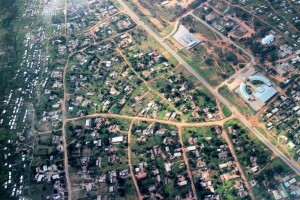 Harare’s suburbs are even more vibrant than its downtown. Each suburb usually has a small shopping village at its heart, and here you’ll find a number of restaurants, bars and boutique shops. 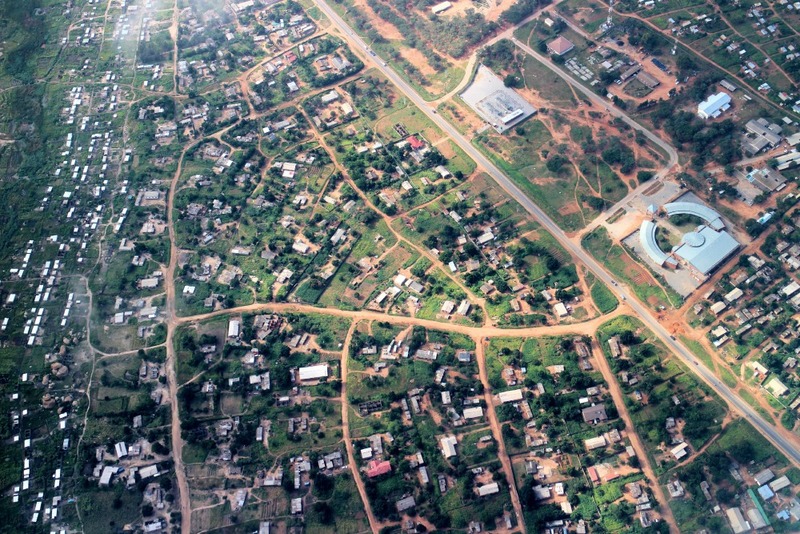 Borrowdale is one of the most affluent suburbs — this is where Mugabe actually resides — and its heart is the Sam Levy Shopping Village. Follow your nose to Butcher’s Kitchen, where the smells of charcoal-grilled meats waft from, for lunch. It is a favorite with locals, serving up what could be considered Zimbabwean comfort food — lots and lots of meat, from which you pick your cut from the front display. If you can find people to join you, spend the afternoon with an orphaned cheetah at Wild is Life. Located out near the airport, this wildlife sanctuary takes in injured and orphaned animals. The guest experience, which costs US$70, invites you to share High Tea, canapés and champagne service with the animals as the sun sinks, and allows you to help support the animals. Reservations are essential. Grab a Zimbabwean meal for dinner from Garwe, which is located in Eastlea, just east of the CBD. It serves traditional dishes like sadza, peanut butter kale and goat stew among other favorites in thatched roof environs. Return to the CBD after dark and hit up Stars, which is part of the Sheraton Rainbow Hotel. It is a classy club that has been popular for more than a decade, and plays a mix of the latest hip hop and house hits. 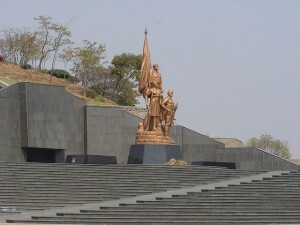 Located 7km south of Harare on the road to Bulawayo, the National Heroes Acre (107 Rotten Row) was designed with assistance by North Korea and is a somber memorial to the forces killed during the struggle for independence. After paying your respects, return to town and visit to the National Botanic Gardens, which sit on 58 hectares just east of the CBD. It is a serene spot to pass an hour, filled with all sorts of diverse flowers and shrubbery that thrive in Harare’s near temperate climate. Wander through the park and you’ll also find most Zimbabwean plant species, as well as some specimens from other parts of Southern Africa, represented. When you’ve had your fill of plants, it is time to do a bit of boutique shopping, which is one of the main reasons to linger in Harare in the first place. Zimbabweans are famous for their craftsmanship in everything from jewelry to sculpture to ceramics, and there are a number of excellent shops and markets around the city. KwaMambo at 40 Cork Rd in Belgravia, south of the Avondale Shopping Center, is one such shop with beautiful pieces by local artists – look for original paintings, unique metal sculptures and hand-painted ceramics. Also here you’ll find 40 Cork Road, which does excellent strong Chipinge coffee and tasty breakfast and lunches in laid-back environs. Continue shopping after lunch, this time heading to Harare’s other most posh suburb Newlands. Anchored by Enterprise Road, east of the CBD, here you’ll find the Newlands Art & Craft Market, which sprawls in the space between the road and the shopping center beyond it and is home to a large selection of stone, wood and metal creations. Bartering is expected. Have dinner in the neighborhood at the acclaimed restaurant Amanzi on Enterprise Road. A classy affair that serves international fare both on its lively outdoor patio or inside its colonial home, which is done up with gorgeous African décor and walls adorned with local art (that is for sale). Book in advance. This article was originally published on April 16, 2015.